Saskatchewan’s efforts to reduce red tape and modernize regulations in the province received the highest ‘A’ grade ranking by the Canadian Federation of Independent Business (CFIB) in their 2019 national Red Tape Report Card. The new grade was announced today at an event where the Government of Saskatchewan proclaimed January 21 to 25 as Red Tape Awareness Week, the 10th anniversary of this event. Also announced at yesterday's event was the launch of a new ‘Help Cut Red Tape’ web page, available to all Saskatchewan residents and businesses who want to report red tape concerns they have encountered. This information will make it easier to report red tape to government, while providing valuable perspective from the public on how the province may offer services more effectively. “Red tape costs businesses, residents and the government $300 million and thousands of hours in lost time every year, and for the past decade, Red Tape Awareness Week has helped draw needed attention to this issue,” Trade and Export Development Minister Jeremy Harrison said. The new ‘Help Cut Red Tape’ web page offers an “always-on”, client-centred platform for citizens and businesses to report red tape irritants they have encountered in the province. Each submission received from the public will be referred to the appropriate Government of Saskatchewan ministry, agency or Crown corporation for effective follow up. 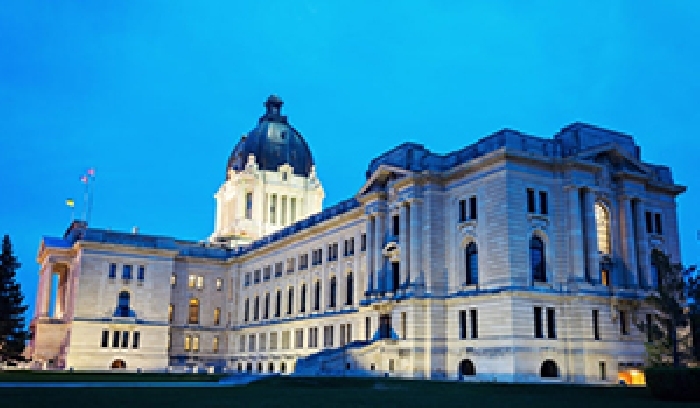 “We commend the Government of Saskatchewan for its ongoing leadership to make red tape reduction a priority,” CFIB Executive Vice President Laura Jones said. The ‘Help Cut Red Tape’ web page is a continuation of the Government of Saskatchewan’s efforts to modernize regulations in the province. Other initiatives include an ongoing commitment to a multi-year review of all business-related regulations for their impact and costs, to remove barriers to growth. In 2017-18, regulatory modernization efforts across Saskatchewan were forecast to achieve $132.9 million in savings over the next 10 years—across government and Crown corporations. Effective red tape reduction also means recognizing and addressing inter-provincial regulatory irritants. To this end, Saskatchewan actively participates as a member of the Regulatory Reconciliation and Cooperation Table, as part of the Canada Free Trade Agreement. Saskatchewan and Ontario are working with industry to identify opportunities to remove red tape for businesses selling goods or services across Canada. Premier Scott Moe and Premier Doug Ford signed a Memorandum of Understanding (MOU) on October 29, 2018, to show leadership within Canada on reducing internal trade barriers and exploring opportunities for greater regulatory harmonization. On November 26, 2018, Saskatchewan announced the first initiative under this MOU—harmonization with Ontario relating to the use of wide base single tires, making it easier for trucking companies to ship Saskatchewan goods to other provinces. For more information on how to Help Saskatchewan Cut Red Tape, visit the new web page at http://saskatchewan.ca/help-cut-red-tape. More information on the 2019 Red Tape Awareness Week is available at https://www.cfib-fcei.ca/en/red-tape-awareness-week.